In this episode #90, I discuss the power of mobile journalism (MOJO) and not just for reporters. So, marketers listen up! I find US trends can sometimes mirror trends in other markets eventually, especially when it comes to social media. Facebook and YouTube dominate this landscape, as notable majorities of U.S. adults use each of these sites. 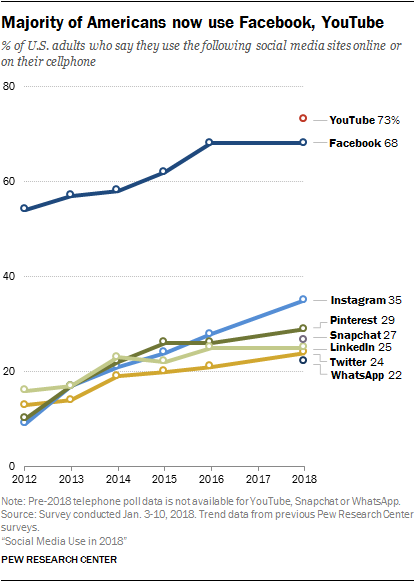 At the same time, younger Americans (especially those ages 18 to 24) stand out for embracing a variety of platforms and using them frequently. Some 78% of 18- to 24-year-olds use Snapchat, and a sizeable majority of these users (71%) visit the platform multiple times per day. Similarly, 71% of Americans in this age group now use Instagram and close to half (45%) are Twitter users. Twitter has announced major restrictions on how users and apps can automate tweets, in order to combat spam and political propaganda bots. Developers are now banned from using any system that simultaneously posts “identical or substantially similar” tweets from multiple accounts at once, or makes actions like liking, retweeting, and following across multiple accounts at once. It alluded to the plan last month, when it revealed that over 50,000 accounts were linked to Russian propaganda efforts. The demand for more engaging personal content may have led Facebook to launch their new ‘list’ option on status updates. The feature allows Facebook users to create a list – like a to-do list, wish-list, where I want to travel list or top list. Users can create their own lists with coloured backgrounds, and decorate them with emoji. The lists are also designed with the idea that friends could copy each other’s lists to share their own opinions about the subject at hand. In this episode, I interview Glen Mulcahy, mobile journalism expert and founder of Titanium Media. A former broadcast journalist, Glen worked in Ireland’s national broadcaster RTÉ for 15 years. 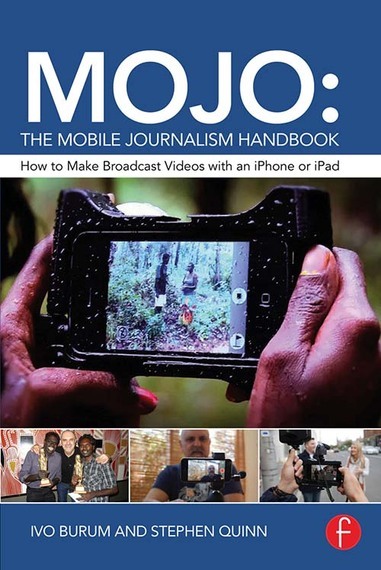 Now a MOJO (Mobile Journalism) evangelist, he shares his insights with me. In this episode, I’m sharing three brilliant resources for MOJO enthusiasts. The authors take a neo-journalistic approach to multimedia news, building on the need to base mojo skills around traditional skills. Mojos require what Stephen Quinn calls a multimedia mindset or way of thinking which combines video, audio, text, graphics and stills. And Ivo Burum points out that this multi-planar storytelling approach — where stories can take a little more time to produce — also relies on many traditional journalism skills, including editing on a mobile phone. Quinn and Burum pack a wealth of background information, advice, and references on how to plan and what it takes to collect, sort out, produce, and disseminate content by using portable devices that older journalists could only dream of. Keep your phone on airplane mode. Clean your lens as phones are always put in pockets. Hold your phone horizontally. No vertical video, it must be horizontal. Use the largest memory card your phone can handle. Video requires a lot of storage. Zoom with your feed (for good quality and audio). Hold it steady. Try not to move the camera much. Make sure your shoot is stable. Start off with a wide shot to establish the scene; then get closer to subjects (make money-shots). Physically move towards the subject rather than using your camera’s zoom. Use the light. Never shoot into the light (except for effects). Move as little as possible, no pans. Know where the microphone on your phone is. Keep it clear. Make sure your hands aren’t blocking the microphone. Position your subject a little bit of-axis. Look focus and exposure. Do framing, check sound and light. Bring all necessary accessories with you. To get good quality audio, use a external mic or headset. Film variety of shoots, angles and sequences, which really help you to tell the story. Check the audio just after it’s recorded. If it’s not useable, do it again. Sound in radio and TV is really important. Check your footage at the scene, if it’s bad, do it again. There are plenty of options for mobile journalism apps. Some of the iOS staples are Filmic Pro for shooting and iMovie for editing. For Android device, try Camera FV-5 for filming and Kinemaster for editing. Clean lens: Clean your lens as phones are always put in pockets. Stability: To avoid shaky video we can use monopods or gear. Sound: Hook up a lapel microphone for better sound, especially during live stream interviews or PTC. Horizontal video: Hold your phone horizontally. No vertical video. Steady: Try not to move the camera. Make sure your shoot is stable. Zoom: Try to avoid zoom. Better physically move towards the subject rather than using your camera’s zoom. Framing: Look focus and exposure. Do framing, check sound and light. This week’s question comes from Helena who has just taken up a role as social media manager in a radio station. She wants JSB’s perspective on social for radio. In today’s JSB column, I share my insights into brand journalism and why marketers need to adopt the role of roving reporter. The tool that saved my working week this week is my trusted Zoom H1. I take this little device around with me everywhere, and I mean everywhere! It’s my audio recorder which allows me to convert a conversation into a podcast interview anywhere I go. Yes, I must admit when I am talking to somebody new or somebody not so new, I’m considering their potential for an interview at the same time! The audio I record on the Zoom H1 is also used for my vlogs. The audio capturing is clean and reliable, and ideal for use on video. It’s available on Amazon and all good electronic retail outlets and will set you back about €90, but it’s worth every penny!